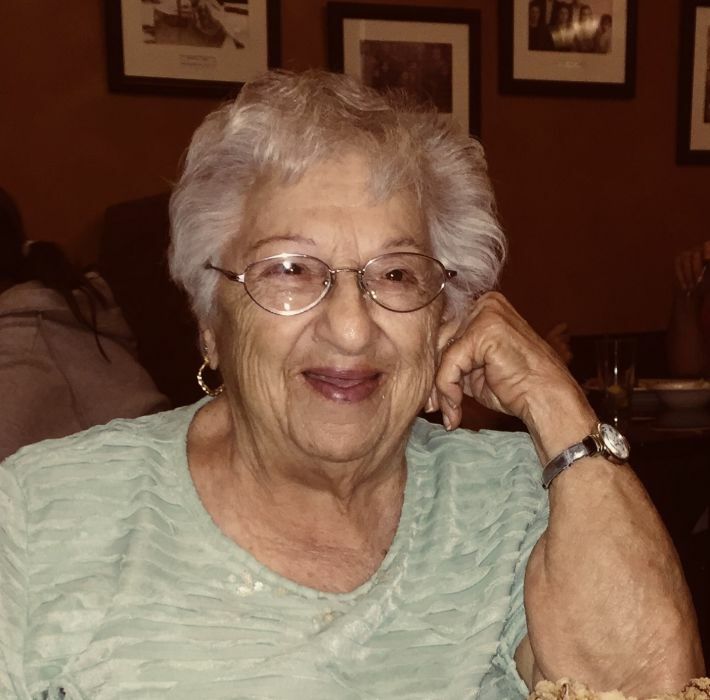 North Greenbush - Louise M. (Marchese) Desso Bowen, 95, of Bloomingrove Drive, passed away Monday, August 27, 2018, at Van Rensselaer Manor, surrounded by her loving family and the dedicated professionals of the Manor. Survivors include her two sons, Louis J. (Debra) Desso of Wynantskill and James F. (Cynthia) Desso of Niskayuna; three grandchildren, Jonathan (Julie), Jamie and Evan Desso; two great grandchildren, Camilla and Nicholas Desso; her sister-in-law, Mary Phyllis Marchese, and many nieces and nephews, as well as many other relatives and friends. Louise was predeceased by her former husbands, Ted Desso and George Bowen, her brothers Dominick, Jerry, Charles, Frank and Louis Marchese, and her sisters Antoinette Miller and Dorothy Marie Crupe. For the last almost two years, Louise was a resident at Van Rensselaer Manor, where she was adored by staff and many residents. But more importantly, she received caring services that allowed her to maintain the highest quality of life possible. The Desso family is forever grateful for the devoted and loving attention she always received while at the Manor. Relatives and friends may call at St. Jude the Apostle Church, 43 Brookside Avenue, Wynantskill, on Thursday, August 30, 2018, from 5-8 PM. A Mass of Christian Burial will be held Friday, August 31, 2018, at 9:30 AM at St. Jude the Apostle Church, with Rev. Anthony Ligato, Pastor, officiating. Entombment will be at St. Mary’s Cemetery. Contributions may be made in memory of Louise M. Bowen to St. Jude the Apostle Church, 43 Brookside Avenue, Wynantskill, NY 12198, or to the charity of your choice.